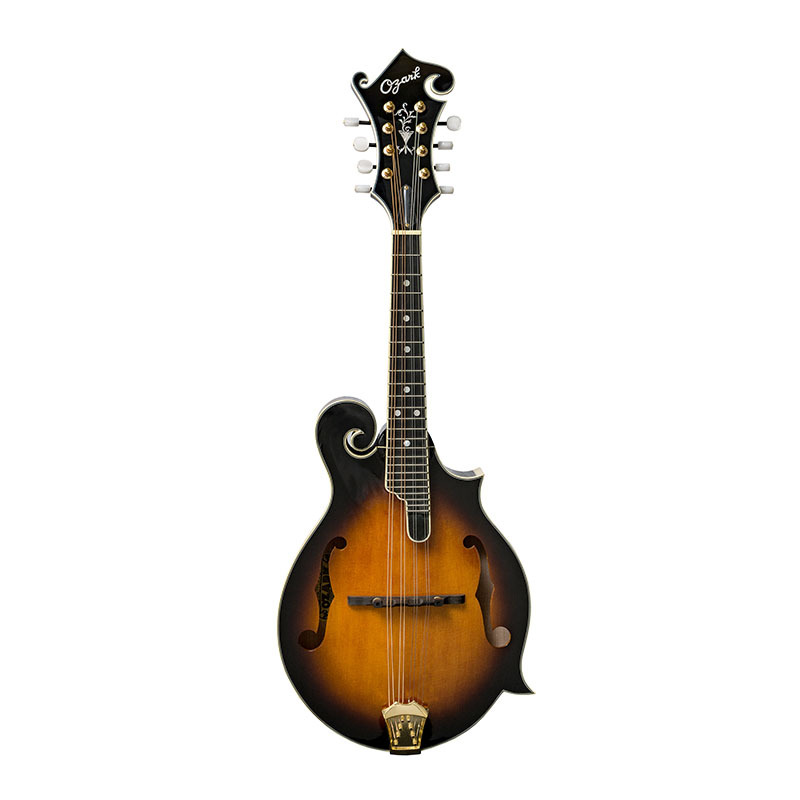 The Ozark deluxe 'F' model mandolin is a beautifully crafted, professional quality instrument. Hand carved, all-solid construction, with solid spruce top in sunburst finish and solid maple back and sides. It is fitted with an adjustable rosewood compensated bridge, gold plated machines and tailpiece. The fingerboard is fully bound with position markers and the body is finished with wood bindings. The great sound projection is ideal for many playing styles including bluegrass.